Bruxzir has continuously improved in translucency since its debut in 2011. Today, it is made as zirconia blocks with a half translucent occlusal surface and layers of less translucency towards the gingival margin. 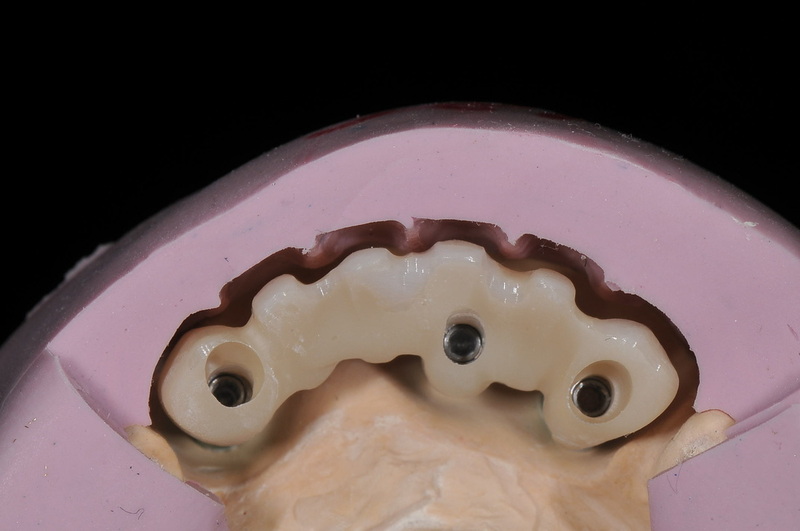 This is our top recommendation for posterior restorations. Pros: Low cost, virtually chip proof (great for bruxers! 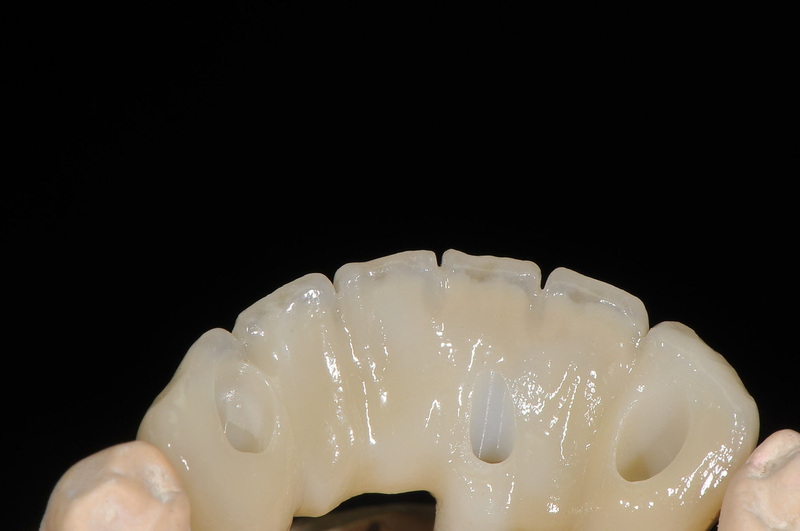 ), glazed to smooth surface to resist plaque accumulation, used for all teeth, more conservative prep (1 mm chamfer prep compared to the 1.5 mm required for PFMs). Cons: The monolithic color is helpful for matching shades, but less ideal for creating natural looking anteriors, for which we would recommend ZirconiArt. .
Our CAD/CAM technicians scan and design full contour images so our machines can mill Zirconia blocks sintered to a solid Zirconia frame . 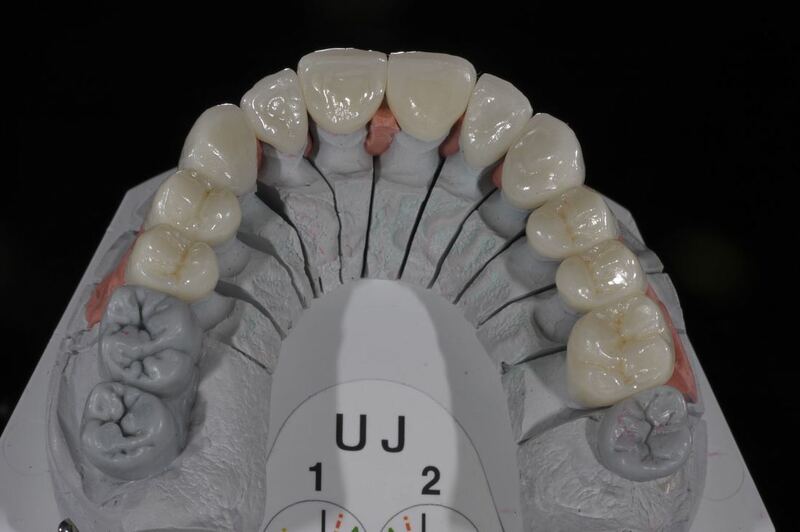 The milled unit is cut back, and our ceramists place an internal stain on the frame, then layer Feldspathic porcelain on top for a lifelike finish. 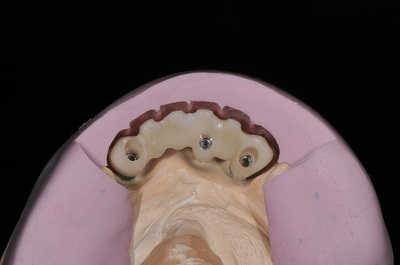 We create both posterior (premolars that require aesthetic detail) and anterior units (better strength and aesthetics without a silver metal frame peeking out along the gingival margin). This CAD/CAM milled full Zirconia crown's color has been improved to a high translucency almost identical to that of the e.max mono. 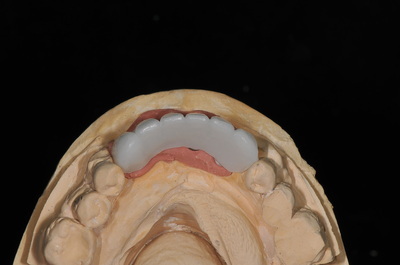 Pros: All the benefits of the Bruxzir plus higher translucency. 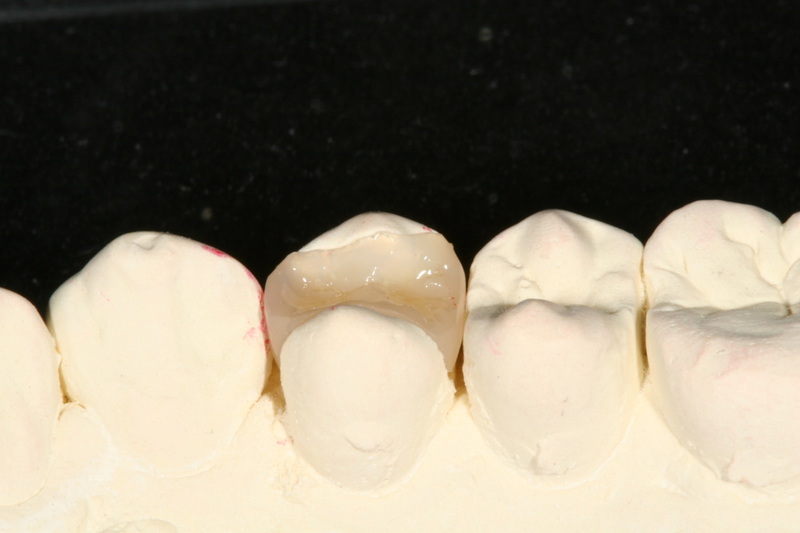 It can be cemented like the Bruxzir or PFM. Cons: Its strength has been reduced to yield higher translucency. It also requires the ideal stump shade and discourages darkly stained preps that will affect the final shade. 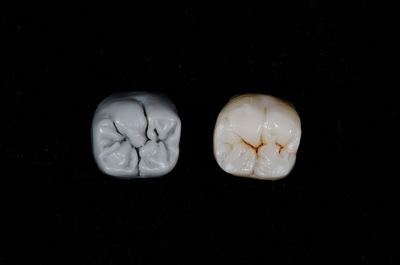 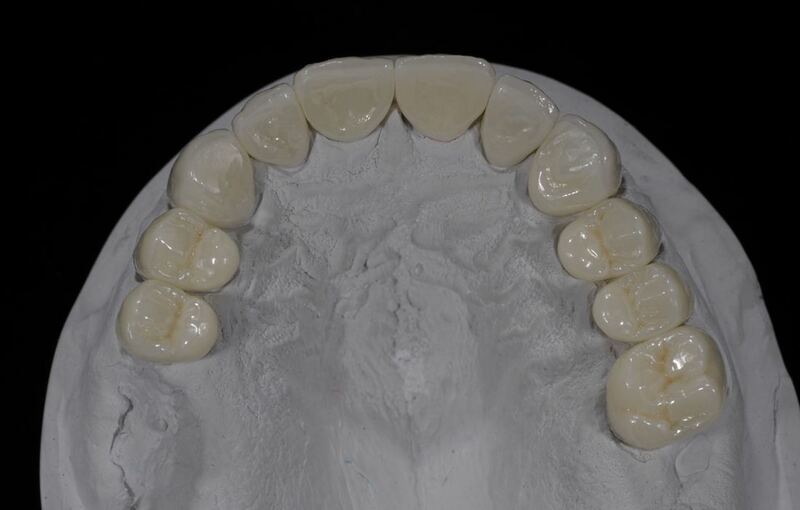 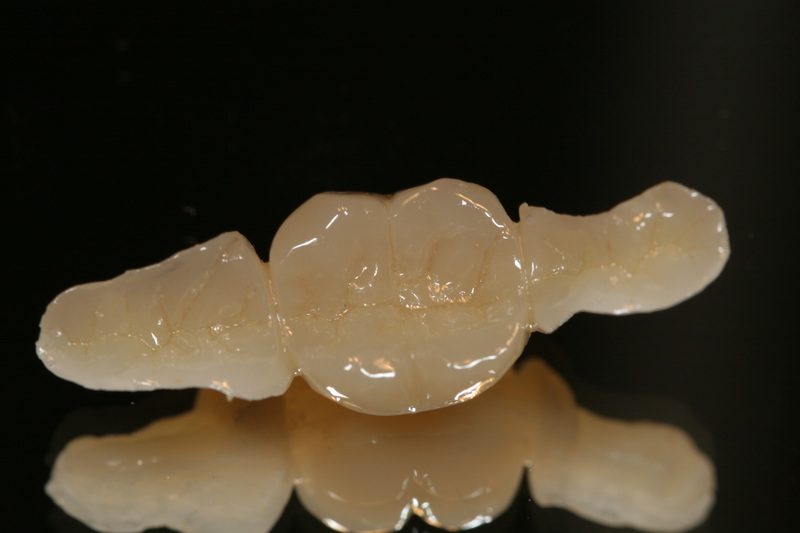 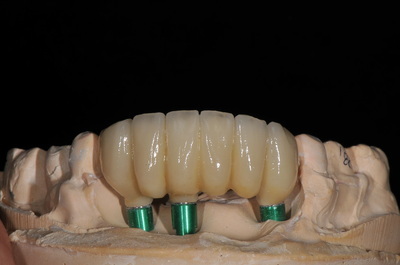 This monolithic crown is pressed to full contour, then stained and glazed. 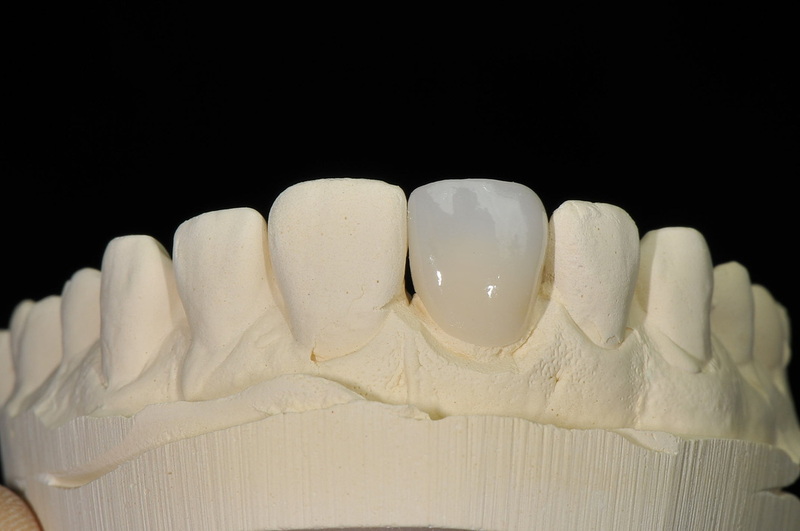 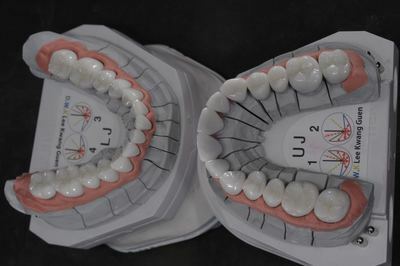 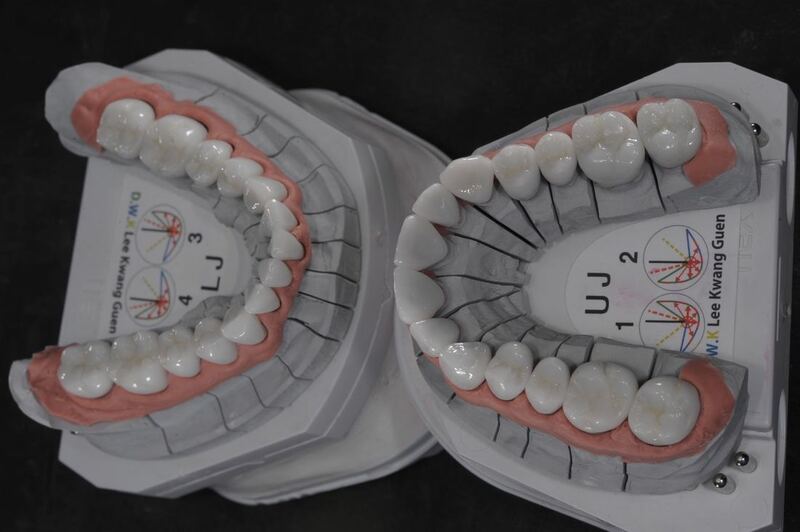 Because it does not require a framework, it provides strength that is lacking in PFM and Zirconia crowns with weak interfaces between the coping and porcelain veneer. 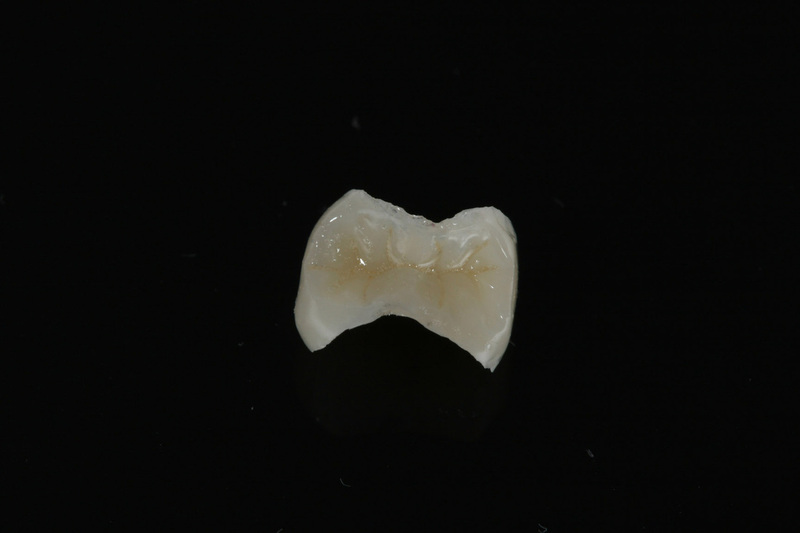 This is our second recommendation for posterior restorations, and our top recommendation for anterior restorations. 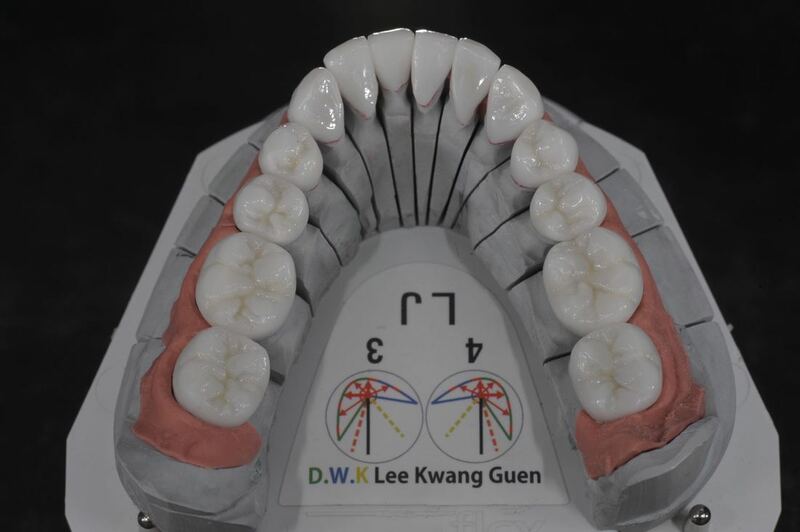 Pros: Beautiful high translucency ideal for both posterior and anterior colored tooth preps. 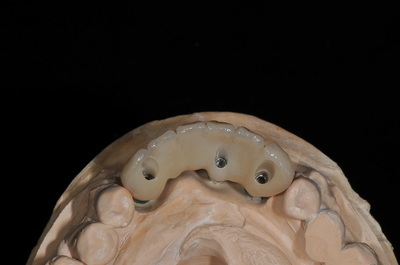 It can be cemented like Bruxzir and PFM and can also be bonded. 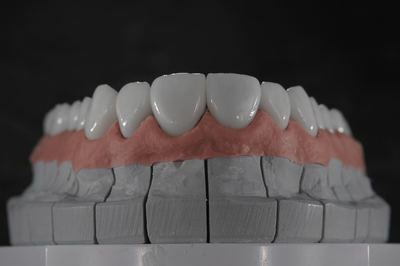 Cons: It also requires the ideal stump shade and discourages darkly stained preps that will affect the final shade. 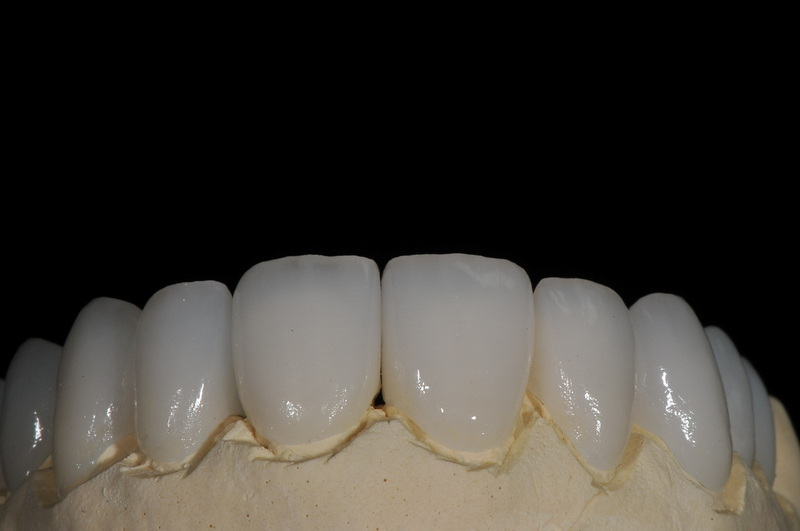 Usage: Single crowns, veneers, inlays, and onlays. We recommend a chamfer prep with a slight shoulder to allow more support for the restoration and space for cement. 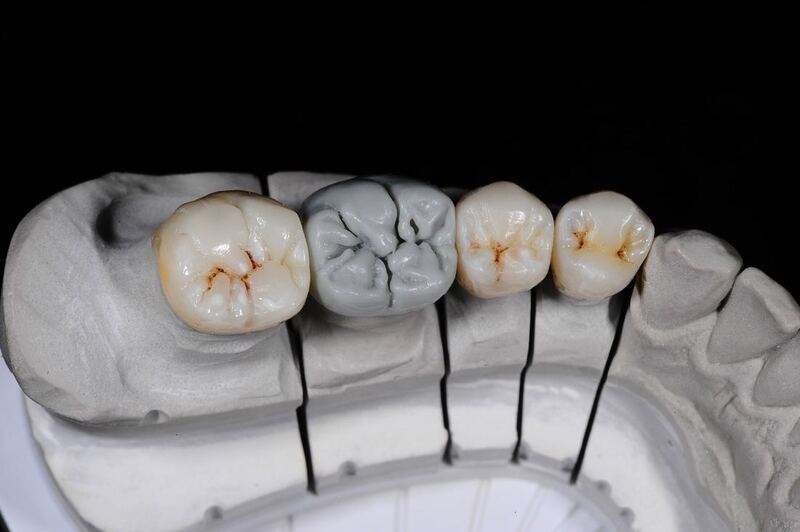 The e.max Layered crown is made by designing and pressing a full contour. It is then cut back to full or partial coverage of porcelain. 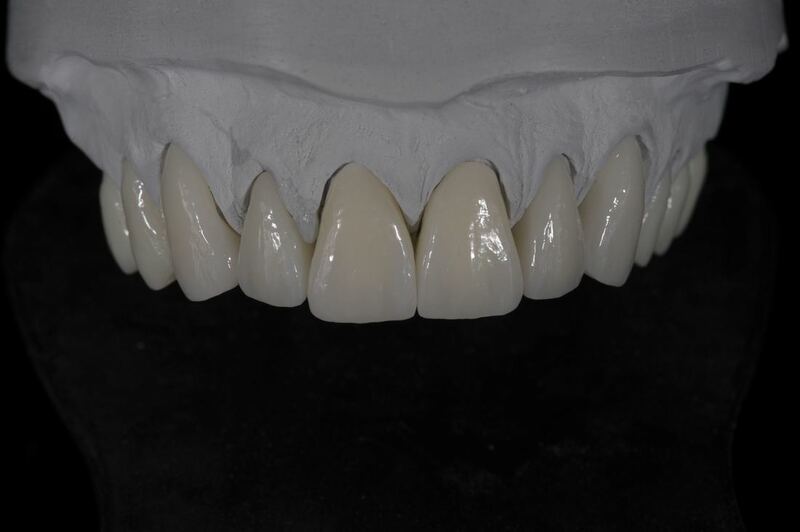 Finally, our ceramists place an internal stain on the frame and layer Feldspathic porcelain over the pre-stained e.max frame. 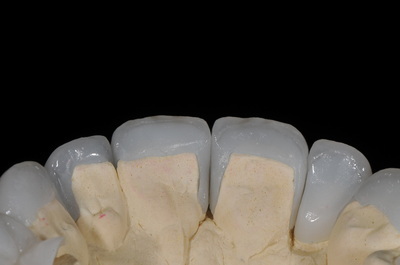 An indirect composite resin inlay and onlay.